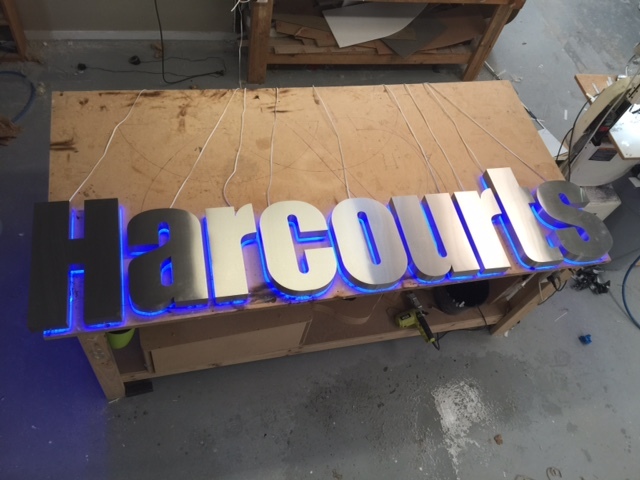 3D Signs either non illuminated or internally lit with a solid or halo lit effect. 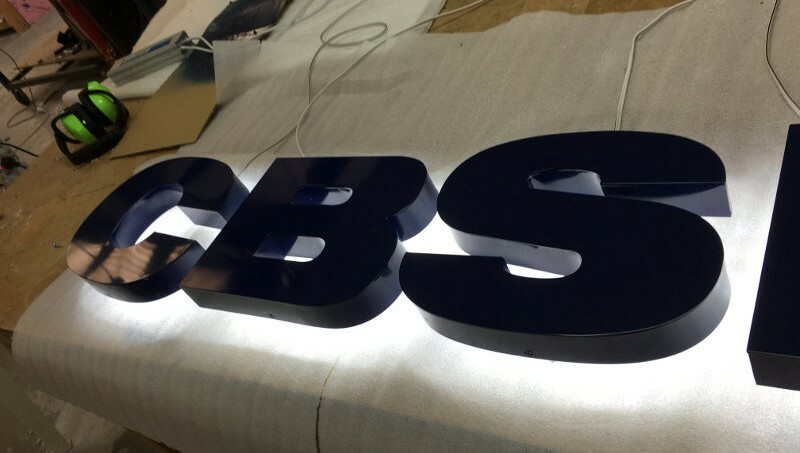 We can provide foam, MDF and acrylic lettering as well as simple cut out faces. Whether it be for your in house overflow or because you have all your fabrication outsourced, we can provide the service that’s right for you. An ACM brushed silver comp panel sign with push through lettering - black faces and opal returns. It gives a halo effect when the LEDs are illuminated. 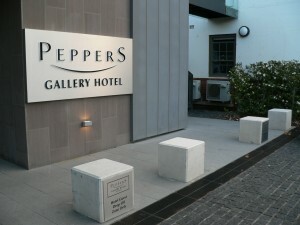 An extremely modern, clean and effective use of materials , that give an eye catching result. 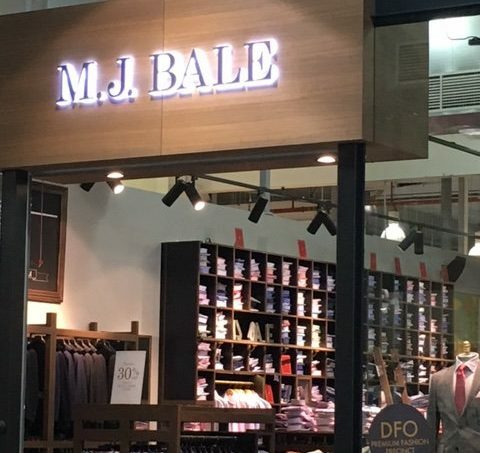 The customer will always be pleased. 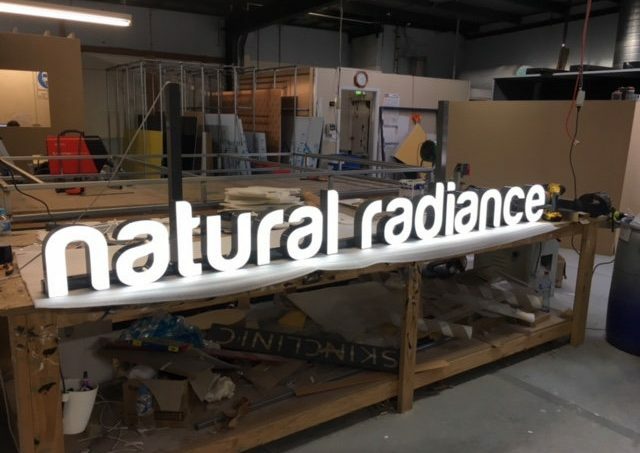 Whether you would like us to install the LEDs or just manufacture the signage, we are happy to supply. There are a vast array of colours now available in the ACM material used. 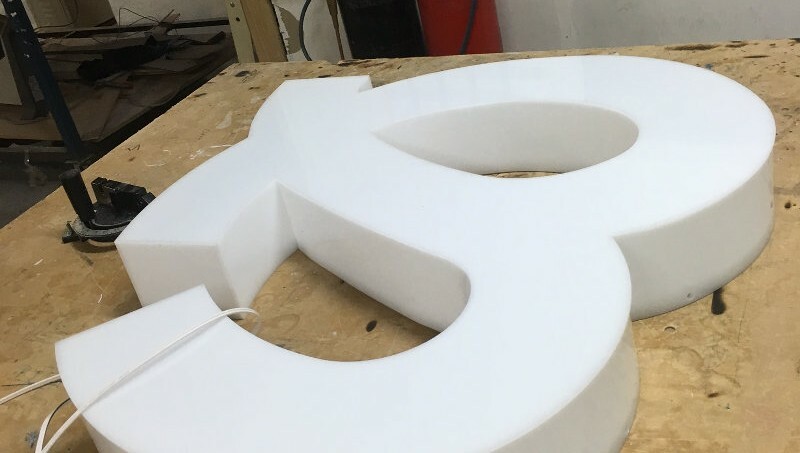 Showcase Plastics can create custom fabricated letters and logos. Your logo will stand out individually off the surface they are applied to. 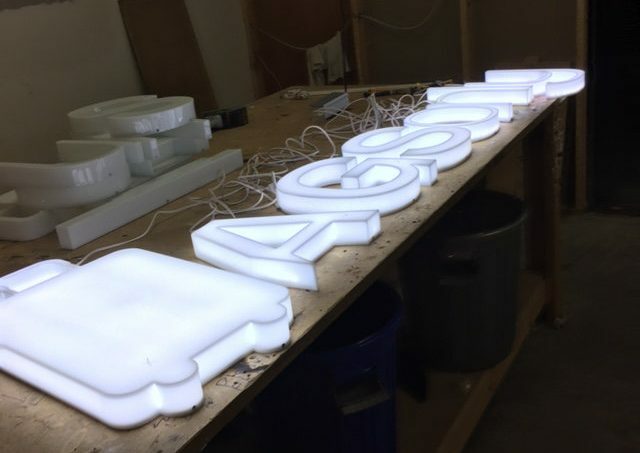 They can add a lot of dimension to any logo, especially if they are illuminated. They can be fully acrylic, have aluminium faces, acrylic faces on polystyrene bases even, many many options can be selected. Anytime Fitness is yet another franchise most of us would recognize. 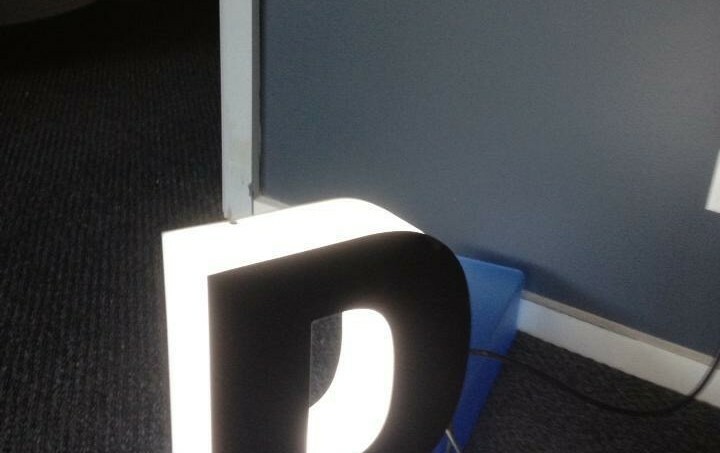 Yet, another example of 3D lettering and LED’s we had installed in-house. A transparent opal face (as opposed to using a solid white) allows the LED’s to illuminate much brighter than a solid colour would allow. 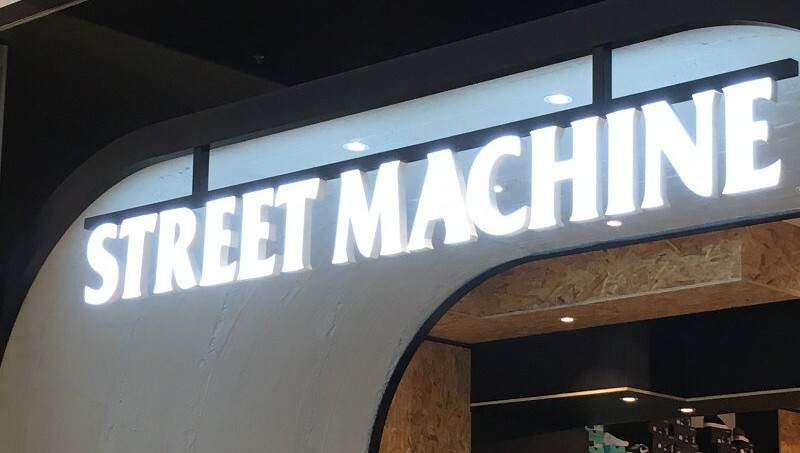 The faces of each letter here were cut on the CNC router, and the client has used a purple vinyl on top of the ‘running man’ logo, which too was cut from opal – allowing it to shine through both the acrylic and vinyl overlay. Large or small 3D lettering comes out of the workshop, look into 3D letters on your next job. 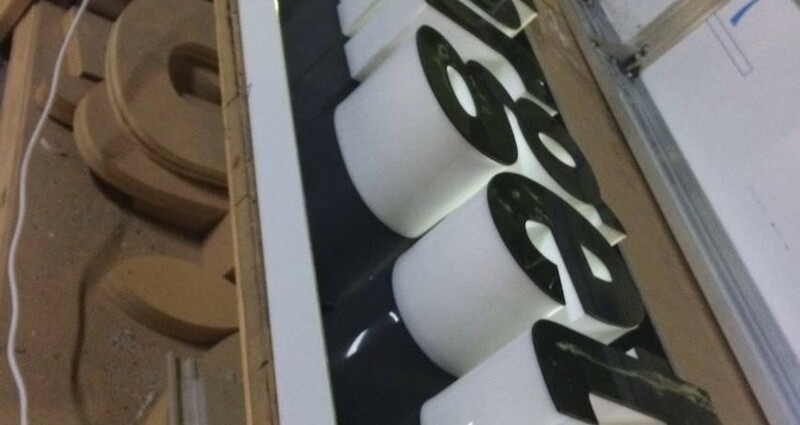 These KK letters are bright, led illuminated and eye catching - nothing more for the sign company to do, other than install the job. 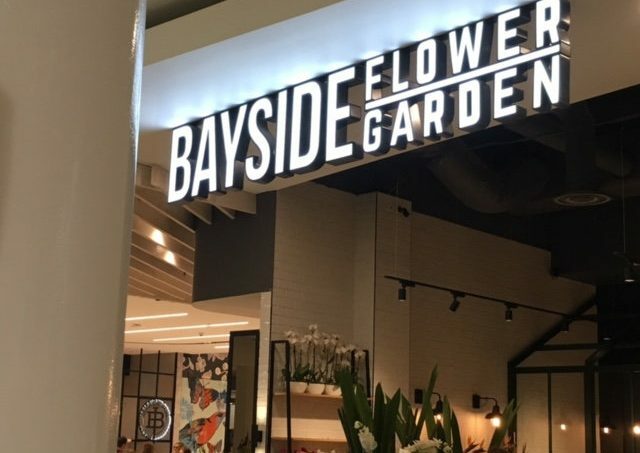 Restaurants and shops alike- always need to catch the customers eye. ZIN VIE stands out for all the right reasons. 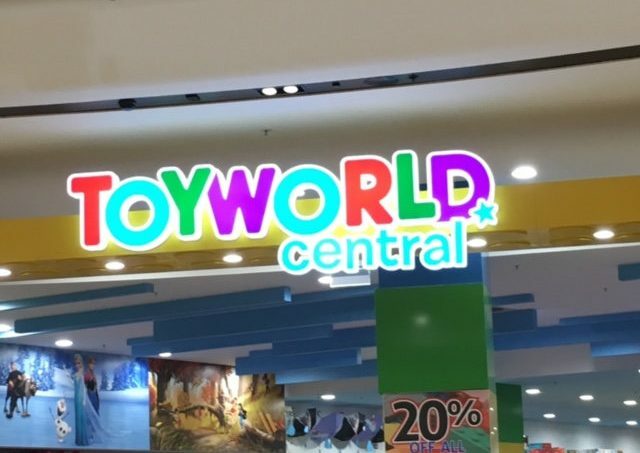 Tell your customers 3D is not out of their reach. 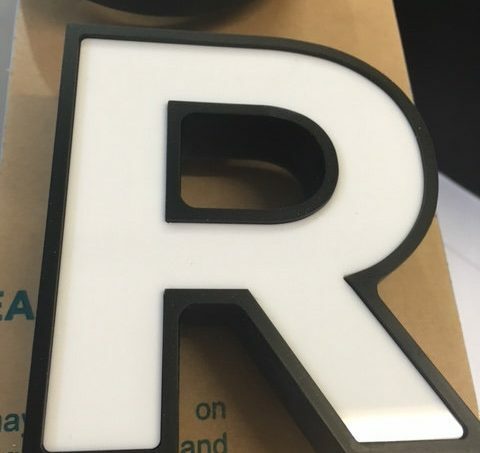 Lettering often requires being painted from the rear- this is a silver finish, achieved on site by our experienced painter. Letters, letters and more letters. 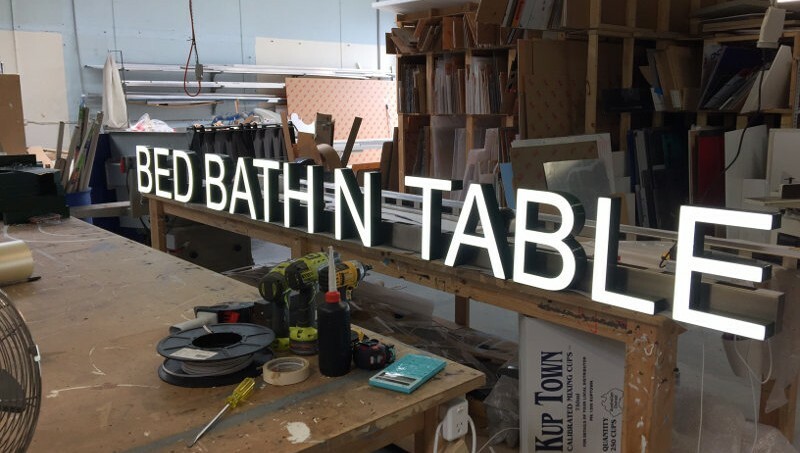 Our specialty is definitely our 3D letters, illuminated or non illuminated. Ask for a quote. We can also provide you with all your digital print needs.